Nowadays we are all familiar with music streaming services, which enables us to enjoy tens of millions of songs at comparatively lower cost, and Amazon Music Unlimited is among one of them, which offers 40 million songs, ad-free and can be downloaded to listen anywhere. Amazon Music Unlimited offers a 30-day free trial and is available with various pricing tiers. Normally, it cost $9.99 a month. But if you have an Amazon Prime account, you’ll only pay $7.99 per month or $79 for the whole year. In addition, it seamlessly integrates with Amazon Echo and costs as low as $3.99 a month for Echo users. If you are within the Amazon ecosystem, Amazon Music Unlimited must be your first choice when choosing the best music streaming service. The only drawback is that though it provides subscribers with offline listening function, you can never really own the songs because all the songs on Amazon Music Unlimited are protected in DRM and can’t be downloaded as local files. But in this article, we are going to help you break it through. Below is a step-by-step tutorial on how to download songs from Amazon Music Unlimited to computer with the most powerful Amazon Music Downloader – TunePat Amazon Music Converter. 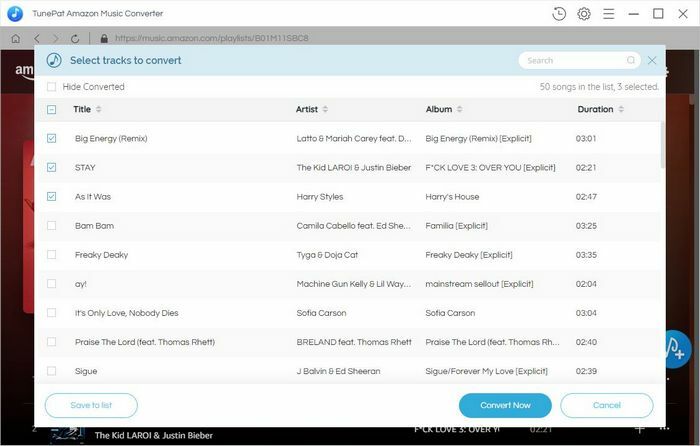 TunePat Amazon Music Converter is a professional Amazon Music downloader designed for helping Amazon Music Unlimited subscribers download and convert Amazon Music to MP3/AAC/WAV/FLAC format. 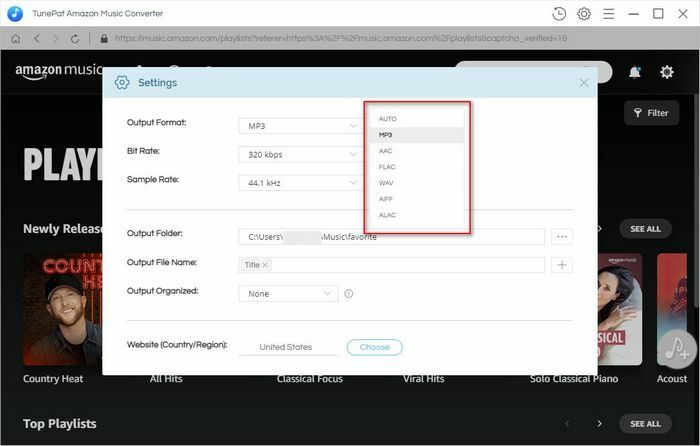 With no need to install any extra apps, it is able to export your Amazon Music to your local computer at 10X faster speed with lossless output audio quality while keeping the ID3 tags afte conversion. 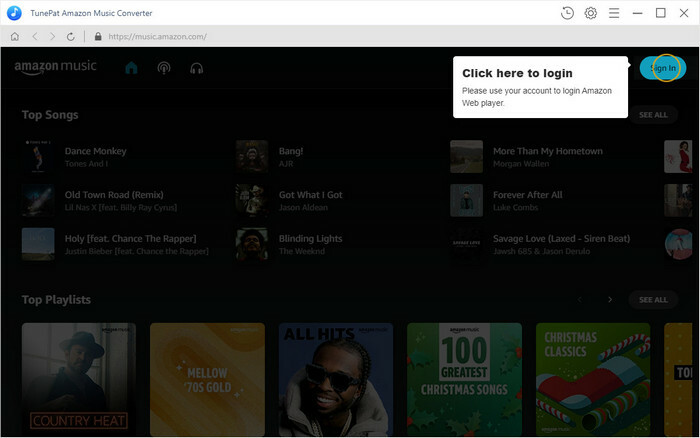 Launch TunePat Amazon Music Converter and then sign in with your Amazon Music Unlimted account. Click the "Setting" button on the bottom right corner. Here you can choose the output format (MP3/AAC/WAV/FLAC), output quality, output path and etc. Open one of your Amazon playlists, artists or albums, click the "Add" button on the bottom and then select the songs that you'd like to convert. Click "Convert" button to start the conversion and soon they'll be all saved to the output path you set in Step 2 on your local computer. 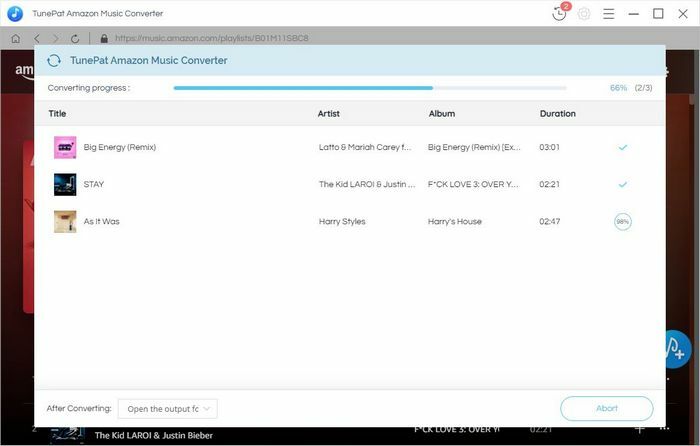 Once the conversion is done, you can find the downloaded Amazon Music by clicking the "History" button on the bottom right corner or directly going to the output folder you customized in previous step.